Stable Career is not always synonymous to a stable job. You may have a stable job but what if you are not happy with it. Your career is the occupation that you choose that has significant opportunities for you to grow further. In order to have a stable career, you must know some important things that will give you a stable career. 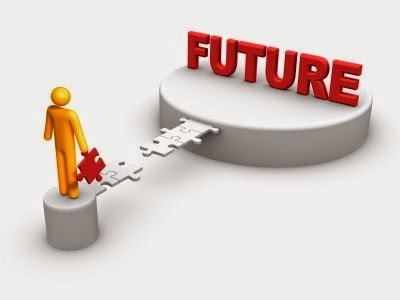 The education system demands to make a decision of career choice at a very early stage and it is almost not practical to decide what the future will hold if you chose a particular career path. Therefore shifting through a number of career options at the beginning of a career is not shocking. Some do that at an early stage, some take time to realize that the path is wrong and some lucky ones hit the bulls’ eye right in the beginning. Switching jobs in the first five years of career is not something that can land you to trouble. But what is important is to land up to a job which you like. There are many professionals out there who do not like their profession. Now, that is something that needs to be changed because going along a profession that you do not like will either land you troubled or demotivated for the rest of your life. Self-evaluation is a process that most of us only take serious when it is about the appraisal. But this process is one of the most important steps that can land you at the right career path. You need a good time with yourself to do it. Prefer a weekend morning where you are all relaxed. Give this time to yourself and analyze your work for the last year. Keep this one a little different from the one that you present to your manager. This self-evaluation process should include answers to questions like ‘Are you happy with what you do?’ or ‘Will this job land you where you want to be’. Your answers will evaluate your current position and if you want to continue with this job or not. One of the most common reasons that most people do not switch jobs is because they are scared. 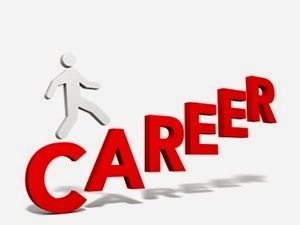 It is not wrong as when it comes to career there is a lot that needs to be given a thought before making a move. You may not be happy with what you are doing but most likely the money that you are making out of it keeps you there. You do not want to give up your job because you are scared that the career you want to choose may not pay you that well. More than the job, people have the fear of losing respect, power and money that their job provides. Honestly, if you have the capability you can make money in anything you like. The chances are that the first few years can be a little discouraging monetarily, but being satisfied for the rest of life is worth that much the struggle. Work towards finding your passion or at least find out what you like. If you are not sure that your passion can earn you a living then try converting a hobby into a living. Think about the three E’s and decide what comes to you easily, effortlessly and is exciting. Sit with a group of people and interview them, ask them what think you are good at. Pay attention to what they say and start analyzing as to what can turn into your skill of making money. Do not just know your strengths and weaknesses and list them in your resume. Take out time to actually understand your strengths and weaknesses. It is a very crucial step in building your career. The best thing to do is to identify your strengths and run with them, acknowledge them at every step and keep developing them. The difficult part of identifying the weaknesses is equally important. Inquire about the weaknesses as people will voluntarily not come up tell you about your weaknesses. Once you identify them, take them into account when making career decisions. Even your employers will want to know your weaknesses. Try and turn around things and instead of letting your weakness work against you, make it work for you. Except for some professions like that of a doctor, where the career path is fixed without much of variations actually possible, predicting where will you be in next 5 years is just not right. Not you and not your employer know where you will stand in next 5 years. Planning is important, but it should be realistic. For example make a goal like “I will own a business in next 5 years” instead of “I will have a garment business in next five years”. There are chances that the industry that you chose before does not interest you anymore. The major ideology behind this process is to commit to a goal rather than being committed to a plan. You may change your plan now and then but the goal should remain the same. It is very difficult for people to believe that there career can go around something they are passionate about. It is just important to know your passion and use your strengths in building that career. It is not an easy process and can take few years after you realize that you need that change. So stop living unhappy and start doing what you really like doing and start building strategies to make it a living.